Lots of love and candy surround Valentine’s Day! It’s one of my favorite times of year in my classroom because of all of the heart-themed learning we do. 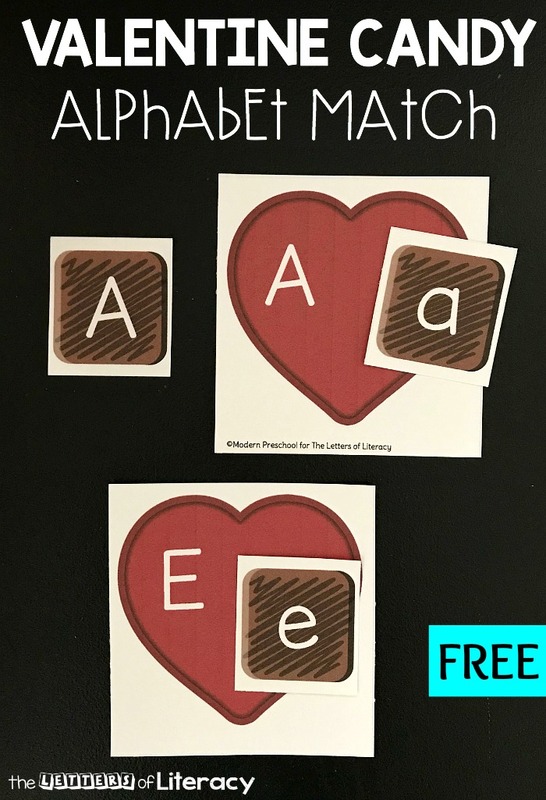 Our Box of Chocolates Valentine Alphabet Match is the newest addition to our literacy center rotations and my preschoolers are going to love it! I love how I can differentiate the activity according to the learning levels of my preschoolers. 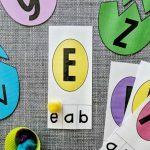 This free printable alphabet matching activity includes 26 heart-shaped candy boxes, 26 lowercase letter chocolate candy cards, and 26 uppercase chocolate candy cards. 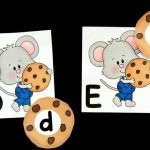 Print the Valentine Box of Chocolates Alphabet Match activity from the file at the end of the post. 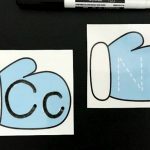 Choose the set of letter cards that work with the current learning level you are focusing on. Or print both! Cut the cards apart on the gray dotted lines and laminate for added durability. Add the cards to a basket to keep things organized, and you’re ready to play and learn! Pick a heart-shaped candy box card and set it on the table. Identify the uppercase letter on the heart. Now it’s time to find the matching chocolate candy letter card. Match the letters, and then pick a new heart-shaped candy box card to play again! 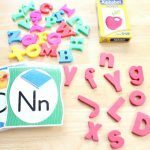 For those kids who have mastered uppercase letters, practicing matching lowercase letters would be the next step. 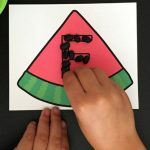 Adding the uppercase letter cards back into the pile will help reinforce letter skills and visual discrimination. 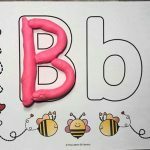 I have a few preschoolers who have almost mastered all of the letter sounds and are ready to begin blending sounds and reading. 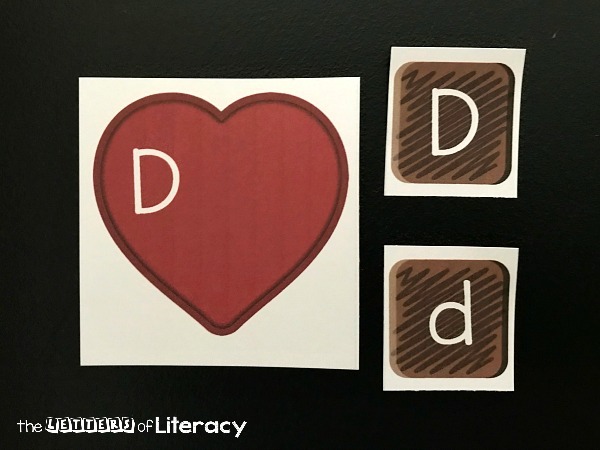 Instead of using letter names during our Box of Chocolates Valentine Alphabet Match activity, I encourage making the letter sounds instead. 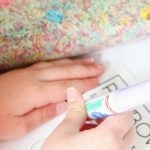 I just love how this activity can grow along with the learners using it. 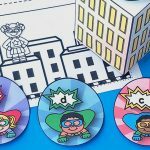 It allows me to use and differentiate my learning centers to benefit each child in my classroom. Ready for some chocolate-themed, Valentine’s Day fun? 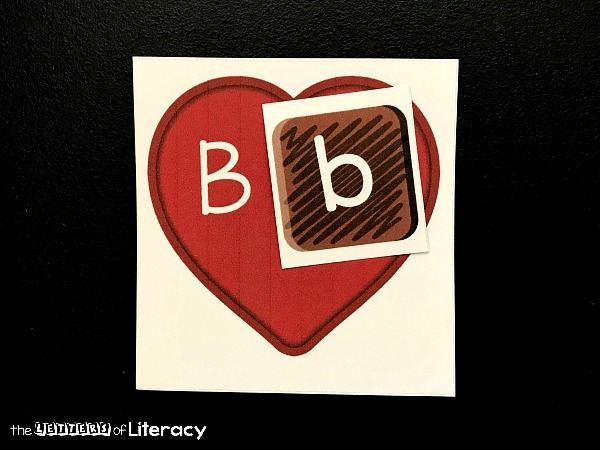 Download your own Box of Chocolates Valentine Alphabet Match by clicking the blue button below. 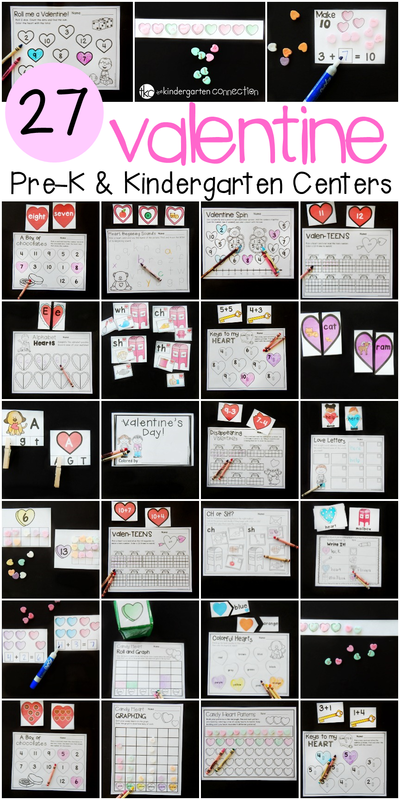 Then, for more centers and activities planned and ready to go for you this February, hop over and grab our Valentine’s Day Math and Literacy Centers!